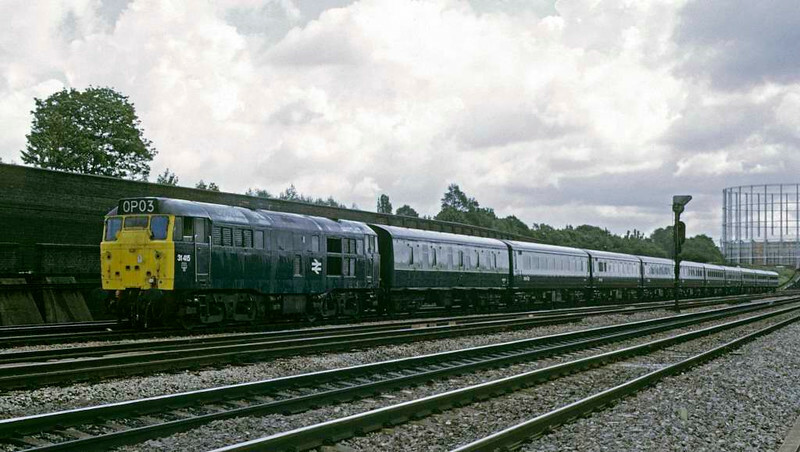 31415, 0P03, Old Oak Common, Sat 10 August 1974. Bringing empty stock into the carriage sidings after taking it through the washing plant. Photo by Les Tindall.